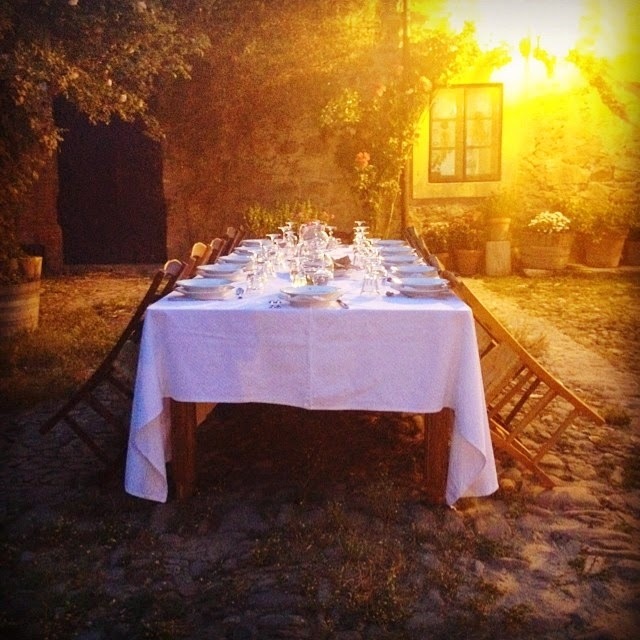 We arrived at Case Vecchie on Wednesday evening, just in time to have dinner overlooking Fabrizia’s (she’s the owner of the cooking school) gorgeous herb garden. On Thursday morning, just after the breakfast, we ventured out to visit a local shepherd, Filippo at Azienda Agricola Rivitera. We were shown his sheep - 400 in total, milked by hand twice a day, to produce about 800 litres of sheep’s milk during peak times (winter, usually). The milk is turned into wonderfully tasty and fresh ricotta and flavoursome picurinu sicilianu or pecorino siciliano right there, at the small dairy at the premises. 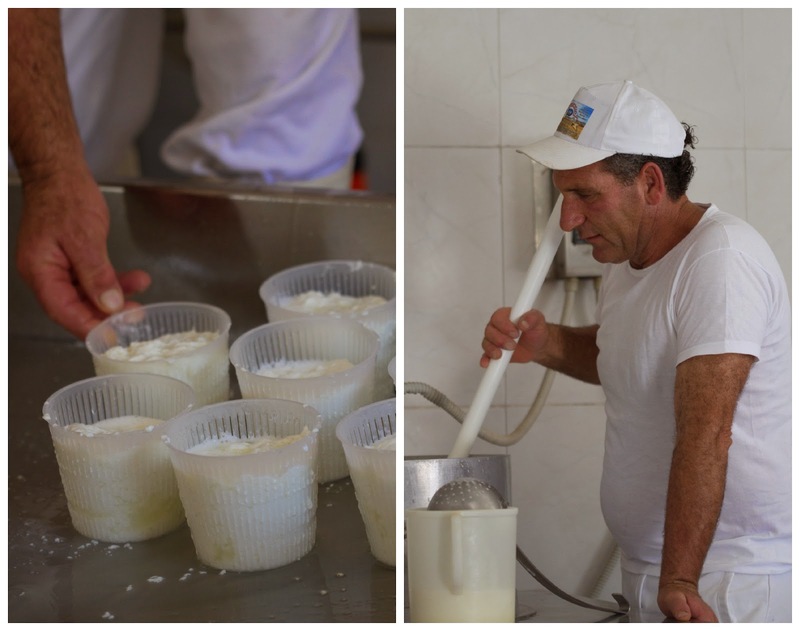 We were privileged to watch Filippo making the cheese, and get to taste freshly made tuma and ricotta. Back at the Case Vecchie, the location for the Anna Tasca Lanza’s cooking school, we perused some of the wonderful products at the Natura in Tasca’s produce range. I chose to bake a cake from my latest cookbook, Torta della Nonna. 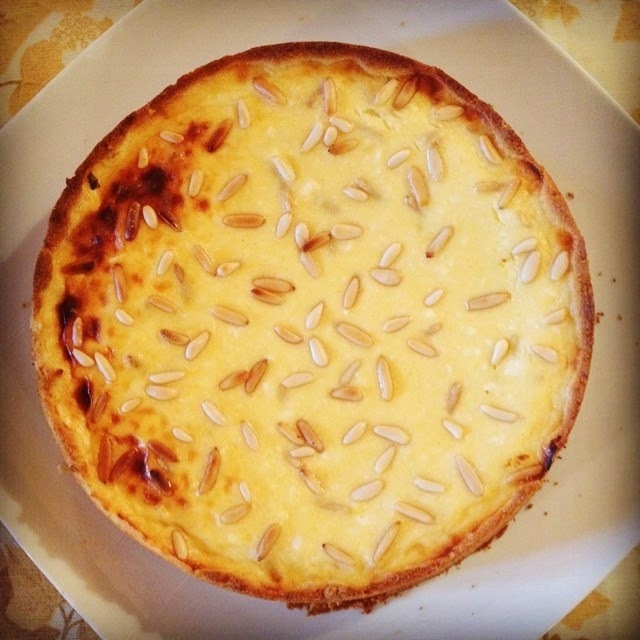 It’s a typical cake from Tuscany, and while the pâtisseries would fill the cake with thick custard, then at homes the grandmothers (nonna stands for grandmother in Italian :)) would use ricotta cheese. I couldn’t resist the chance to bake this cake with sheep’s milk ricotta, as it’s supposed to be. Back at home in Estonia, I’ve made it with cow’s milk ricotta or goat’s milk ricotta. It’s still lovely, though much milder in flavour. Butter a 24 or 26 cm (9 or 10 inch) springform pan and/or line with a parchment paper. Preheat the oven to 180 C/375 F.
First, prepare the pastry. Put the butter and sugar into a mixing bowl and cream with a wooden spoon or a mixer fitted with the blade. Add the egg, then the dry ingredients (mix these first). Spoon the dough into the springform pan and using your hands, spread the dough at the bottom and halfway up the sides - the dough is pretty soft and sticky, so you’re almost pasting it to the bottom and sides. (You may be tempted to add more flour - go ahead, if you wish, but the cake base will be somewhat denser and harder then). Place the springform pan into the fridge to wait, while you make the filling. (You may use the same bowl you made the dough in). Mix the ricotta, sugar, the juice and finely grated rind of the lemon, flour and eggs in a bowl until combined. 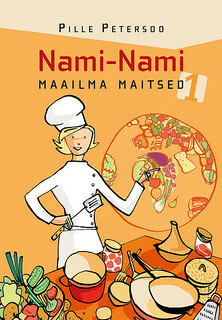 Stir in about two-thirds of the pine nuts or almonds. Take the cake pan out of the fridge, pour in the ricotta filling. Sprinkle the remaining pine nuts or almonds on top. Carefully transfer the pan to the pre-heated oven and bake in the middle of the oven for about 45 minutes, until the cake is lovely golden brown on top. Take out of the oven, and let it cool till room temperature before cutting into slices and serving. 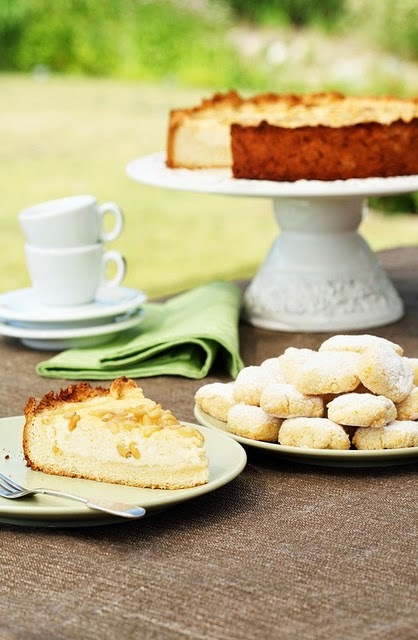 Torta della Nonna and ricciarelli cookies. 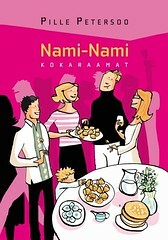 Photo by Juta Kübarsepp for Nami-Nami. Oh dear! I live in Florence Italy and Torta della Nonna has not ricotta, sorry! It is made with a pastry cream filling! To what Susan said, looks like he acknowledges that filling in the text, but mentions this is an alternate way of making it - yes? Either way, it sounds great. Or, maybe a blend would be cool. I mean, "she", not "he." Dear Susan , I do indeed mention in the blog post that the commercial and widely available torta della nonna is made with pastry cream/thick custard (thank you, Lauren, for pointing this out as well!). However, I've read in several places that the more traditional/old-fashioned/home-made/domestic version was and is made with fresh ricotta. Because fresh ricotta doesn't keep well, the pastry shops tend to use pastry cream. Leonardo Romanelli, Mario Battali, Deborah Mele, etc - are just some who mention the ricotta-filled home versions. Looks lovely! 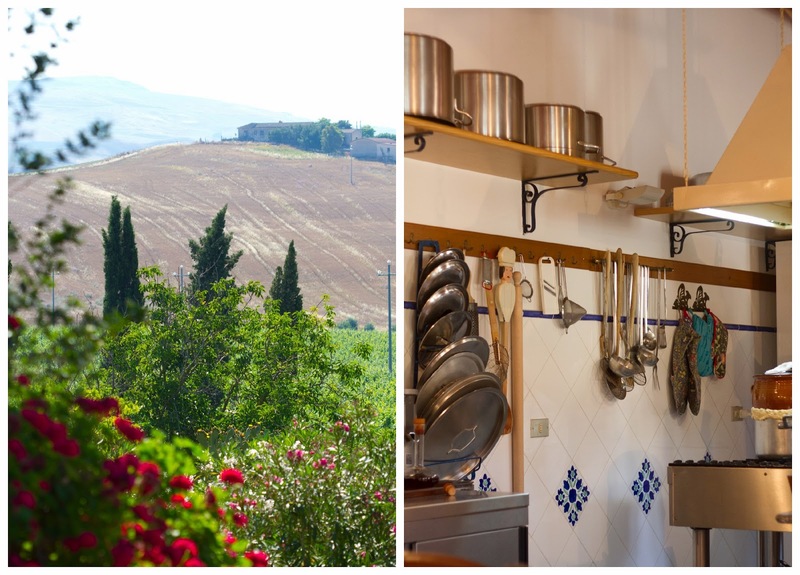 Thanks for sharing the recipe, and for sharing the photos of your cooking adventures there...windows we all can step through to vicariously enjoy a little bit of Italy. Grazi!